Le Chic Bracelet is simply luxurious. 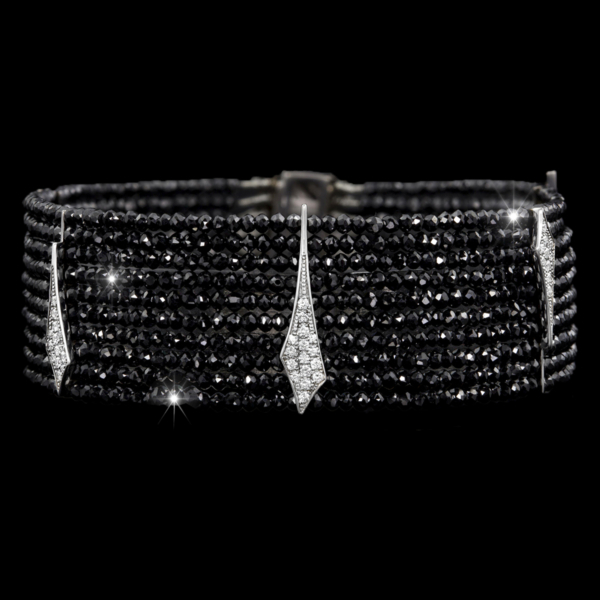 This design flaunts 1040 dazzling black diamonds, totaling 43.20 carats. Elegant accent beads in white gold sparkle with .40 carats of white diamond pavé. To purchase, call (949) 715-0953 or use our contact form below.